With over 20 years of experience in media and broadcasting, Fahrenheit Agency Co-Founder and President, Jennifer Foland brings an extensive background in Advertising, Media Planning, Marketing and Public Relations. She started her career in promotions for 98 Rock in Baltimore and went on to earn her B.A. in Communications from Rider University in Lawrenceville, NJ. While in New Jersey, Jennifer took advantage of the larger surrounding markets handling Public Relations efforts for the Philadelphia Flyers and Madison Square Garden. 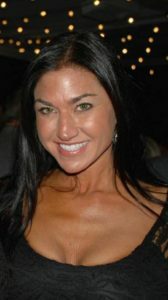 In 1997, Jennifer moved to South Florida and acted as a key player in the launch of PAX TV. During her tenure at PAX TV, Jennifer was responsible for the development and execution of national Advertising, Marketing and Public Relations Campaigns. Jennifer went on to be a top producer in media sales for WFLX-Fox 29 in West Palm Beach and Party 93.1 in Miami. With a life long passion for sports, Jennifer joined the team at ESPN Radio 760 in West Palm Beach where she continued to develop campaigns for clients in the automotive, real estate, finance, service and restaurant industries. She has been a trailblazer bringing companies into the fast-changing world of digital marketing, creating complete solutions for clients to efficently reach their entire target audience.